Will you be a bat superhero this fall? This fall, you can support Canada’s bats by going bat-kit crazy with one of the many bat kits we are offering. Each kit is fun and unique. All proceeds will benefit the bat conservation research at the Canadian Wildlife Federation. The 2018 CWF Bat Bundle is the perfect way to support the bats and celebrate Halloween. 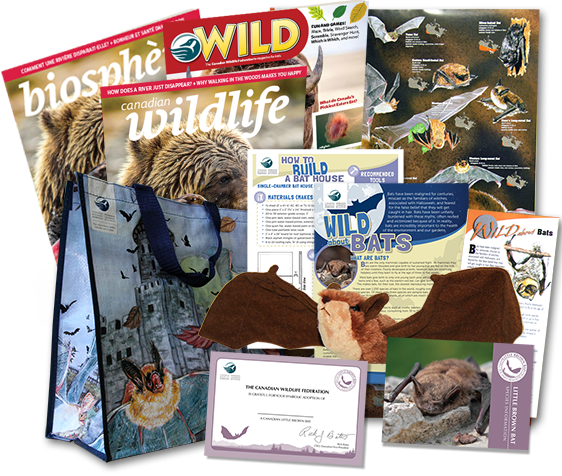 The CWF Bat Bundle is only $39.99 and proceeds help the bats right here in Canada. Buy This Kit! Adopt-a-Bat and help support the species in Canada. The Little Brown Bat adoption kit is a wonderful symbolic gesture and a great Halloween gift. Let someone know you care about Canadian wildlife and celebrate this important species with this adorable toy. Each adoption kit is only $35. Buy This Kit! Throw a big batty Halloween party and be a true superhero to the bats! This FREE Bat Party Fundraiser kit is packed full with information that will help you plan the perfect party this Halloween season. Spook your friends with a boo-tiful party that not only gets everyone into the spirit of the season but supports bat research in Canada as well. Download This Kit! 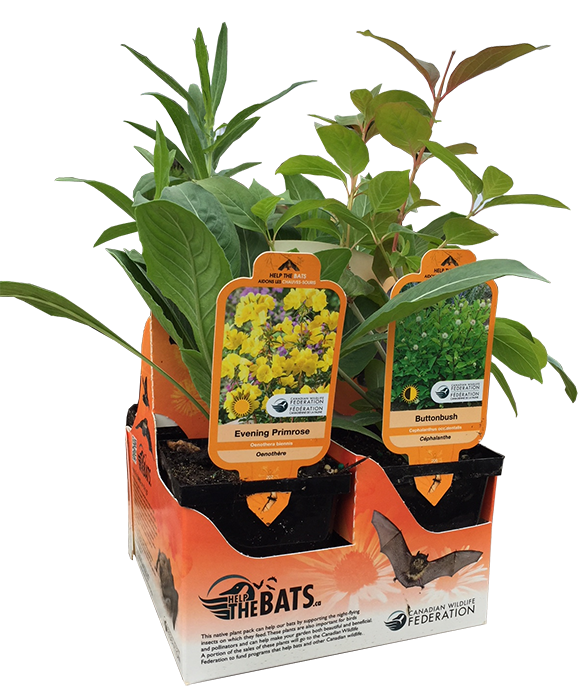 Introducing the exclusive new Canadian Wildlife Federation Bat Pack, a line of Medallion Plants designed specifically with bats in mind. This native plant pack helps at-risk bat species by attracting the night-flying insects on which they feed. Look for these limited edition CWF Bat Packs while supplies last at participating Home Depot locations in Southern Ontario. Learn more about this kit. Enter the Batty Halloween Contest! But, there’s more than just Bat Kits! 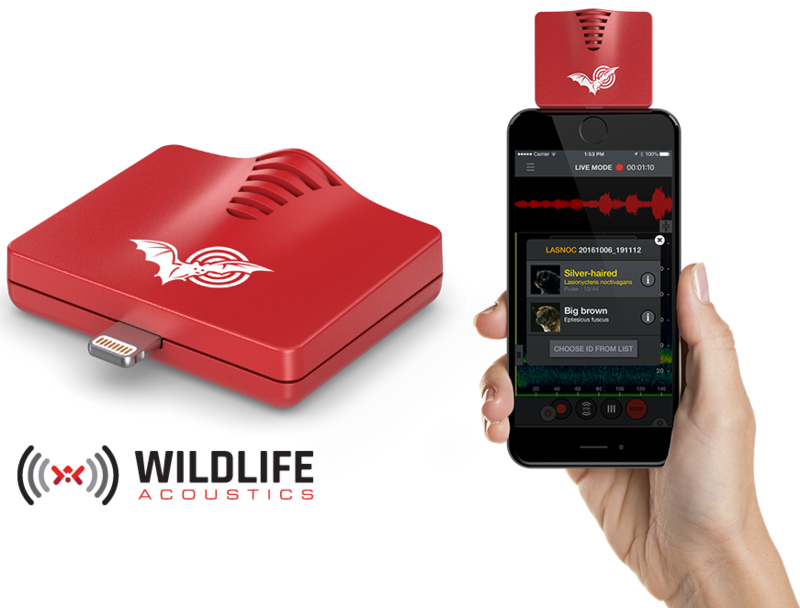 Enter the “Batty Contest” and you could win one of two NEW Echo Meter Touch 2 Pro bat echolocation meters! It’s so easy! You don’t have to buy anything – just enter your information in the form, read the rules and regulations and agree to the terms and conditions within. Once you click submit, you will be instantly entered into the content. Of the 19 species of bats in Canada, 11 are listed as endangered wildlife. They may not be able to recover without our help. 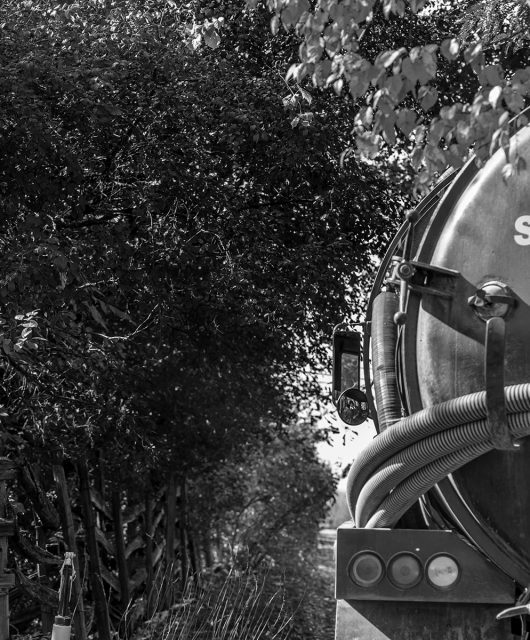 Visit us at HelpTheBats.ca to find out about how your contribution supports our work. 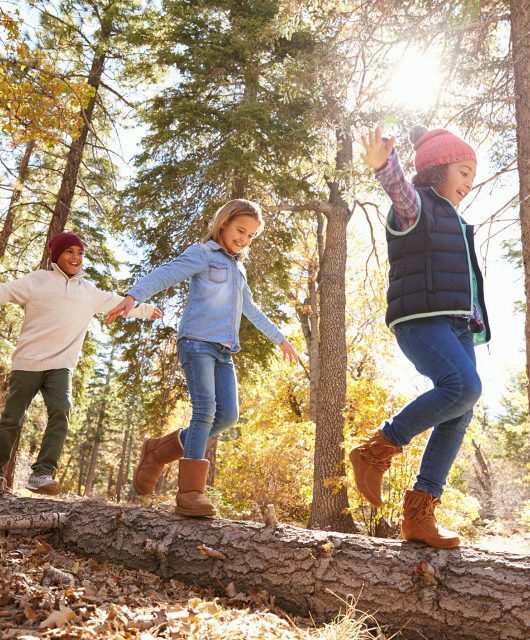 Also, find fun ways to get engaged with downloadable programs for your family, school or community. There are lots of ways you can be a superhero for Canada’s bats this fall!